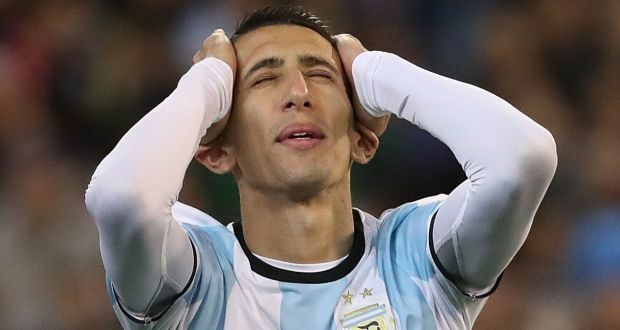 Paris Saint-Germain striker, Angel Di Maria has pointed out the turning point in Nigeria’s 4-2 win over Argentina in the friendly game in Krasnordar, Russia on Tuesday. The Super Eagles came back from two goals down to win 4-2, thanks to goals from Kelechi Iheanacho, Alex Iwobi and Brian Idowu. However, Di Maria said the goal by Iheanacho was the turning point of the game for the Nigerians. Ever Benaga and Sergio Aguero had put the South American giants 2 goals ahead within 36 minutes of play but Iheanacho coiled in a rare free kick to restore hope for the Super Eagles. Gernot Rohr’s men started the second half with a different mindset, scoring netting 3 more times but Di Maria believed Iheanacho’s goal demoralized his side. “What a match. We started well, successfully held them in the early stages of the game, but the goal scored by Nigeria before the half time break was the turning point.